ABOVE: These Podocarpus forests in Nature & Culture’s Numbala Valley Reserve hold more carbon per acre than any other forest in the world, except for the redwoods in California. CO2 from deforestation exceeds that from all the world’s cars and trucks. 1) We lose our best weapon at keeping excess carbon out of the atmosphere. 2) More emissions enter the atmosphere because felled trees release their stored carbon when they are burned to make way for industrial-scale agriculture. 3) What most often replaces the now-vanished forest is livestock and crops like palm oil which emit large amounts of even more greenhouse gases. 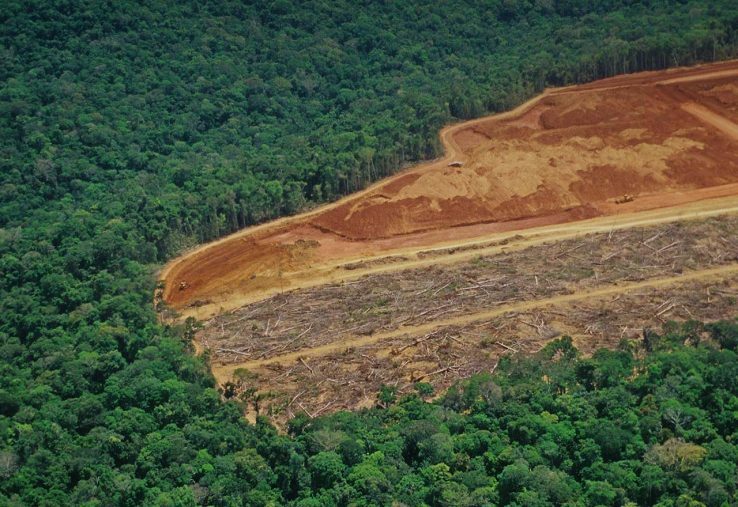 ABOVE: Clearcutting in the Amazon to make way for an oil palm plantation. When humans cut down trees, not only are we destroying our best ally in the fight against climate change, we are also adding CO2 directly into the atmosphere. Trees are about half carbon. Photosynthesis uses energy from the sun to turn the carbon dioxide in the air into molecules that become the building blocks of the tree itself. 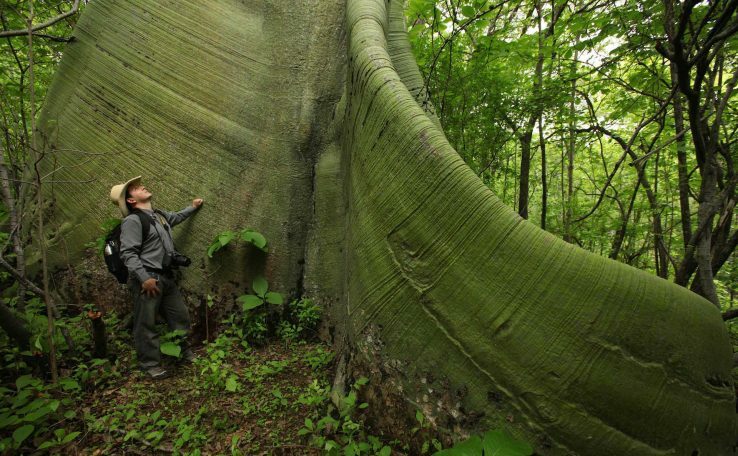 Those molecules are organic substances like lignin, which is found in the cell walls of vascular plants and trees to give them rigidity so they can grow tall and branch out to collect more sunlight. When forests are cut down, their decomposition sends carbon back into the atmosphere as CO2, exacerbating climate change. When they are protected, their carbon is safely stored for millennia. This is especially true for large, intact forests as they store 3X the carbon of fragmented forests. ABOVE: Most trees capture carbon from the atmosphere through photosynthesis using the chlorophyll in their green leaves. This Ceiba tree in Nature & Culture’s La Ceiba Reserve also carries out photosynthesis through it’s green, chlorophyll-laden bark. You can’t do anything about the carbon coming from the millions of cars and trucks on the road. There is little you can do about the carbon coming from the transportation sector of the economy. Nor can you have much effect on emissions from industry or agriculture. Only legislation through the political process and your personal choices about what products you buy and the cars you drive can do that. Nevertheless, you can do something meaningful about deforestation. If you want to personally have a large effect on CO2 levels, you can help store tremendous amounts of carbon in the forest reserves that Nature & Culture creates and protects. If you want to make a positive difference for the climate, then conserve and expand the world’s forests. ABOVE: Amazonian rainforest stores about 80 tons of carbon in every acre. Conserving forests at large scale satisfies our individual moral responsibility to counter climate change. With help from our donors, Nature & Culture has focused on creating and protecting big reserves that contain enormous quantities of carbon. By conserving forests, we preserve their carbon and prevent the release of many millions of tons of carbon into the atmosphere. This is known as “carbon sequestration,” and it’s a critical and irreplaceable service that forests provide to our planet. To date, Nature & Culture has sequestered approximately 1.8 billion tons of carbon. 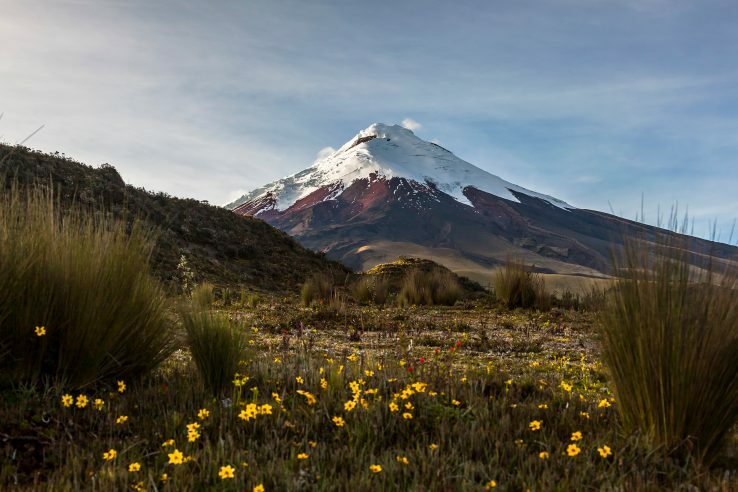 ABOVE: In the 12 feet of peat below the surface, the páramo grasslands of the Andes hold far more carbon per acre than rainforests.